Made to OEM specifications, these high quality diamond back clear headlights will give your vehicle a unique and distinctive look. 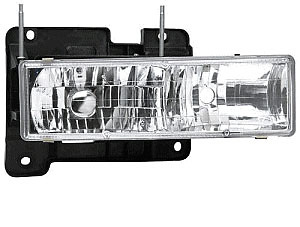 When purchasing the Chevy/GMC Truck Full Size 88-98 Diamond Back Clear Headlights, consider the other items listed below. You can add all desired items from below at one time by clicking the Suggested Items Add Page link.